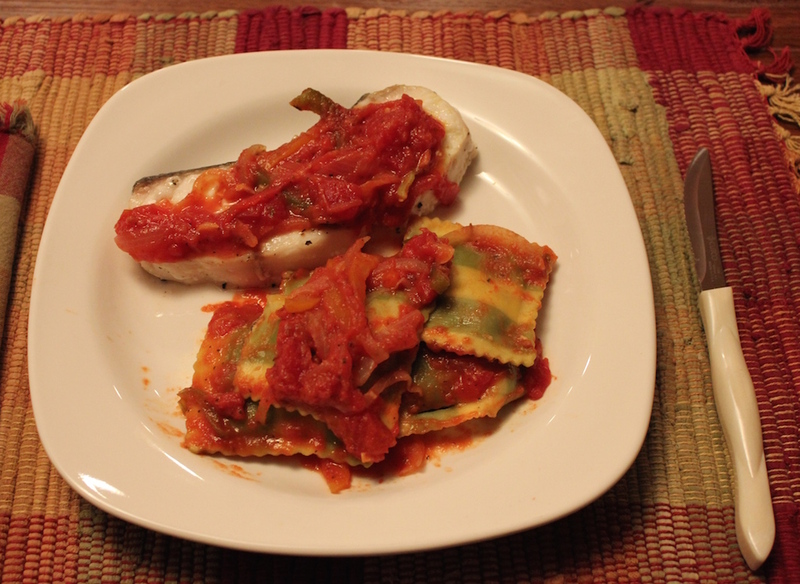 Saturday nights are a great time to ease back and have a leisurely dinner at home. This Roasted Halibut with Tomatoes and Bell Peppers recipe comes together in about an hour, is very flavorful and makes enough to easily serve six. 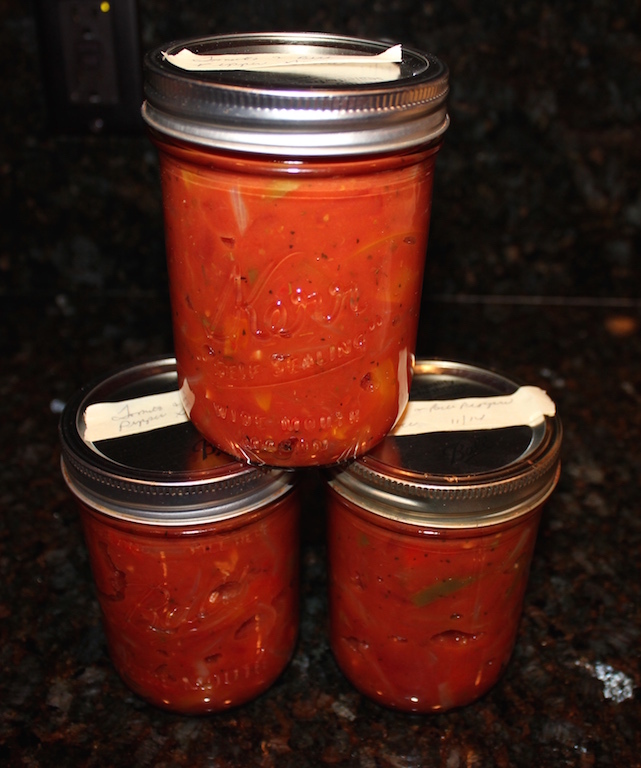 My family is not crazy about tomato sauce made with whole tomatoes; they prefer a smooth sauce. I used a combination of tomato puree and diced tomatoes (I like a little chunkiness and snuck it in!). Use whatever works best for you. Bring a pot of salted cold water to a boil while making the sauce and cook the pasta, any shape will do, while the fish is roasting. Halibut is a mild-flavored fish with a firm texture and needs to be cooked through. 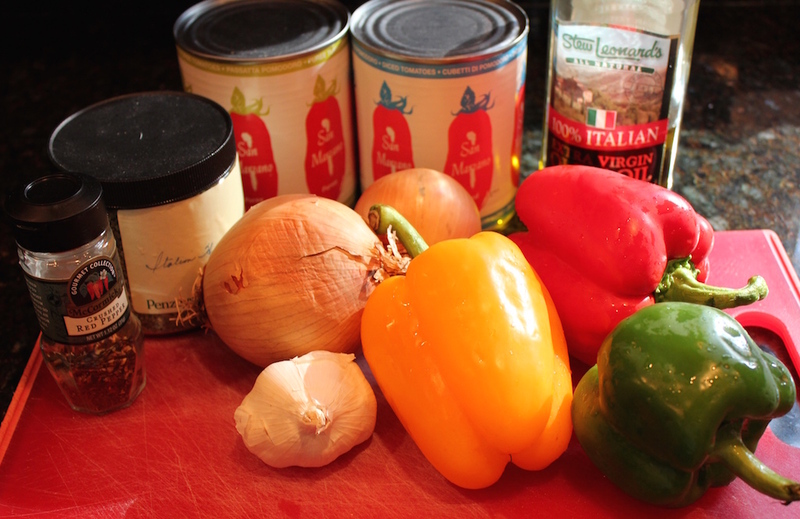 Ingredients: olive oil, onions, bell peppers, garlic, Italian herb mix, crushed red pepper, tomatoes. 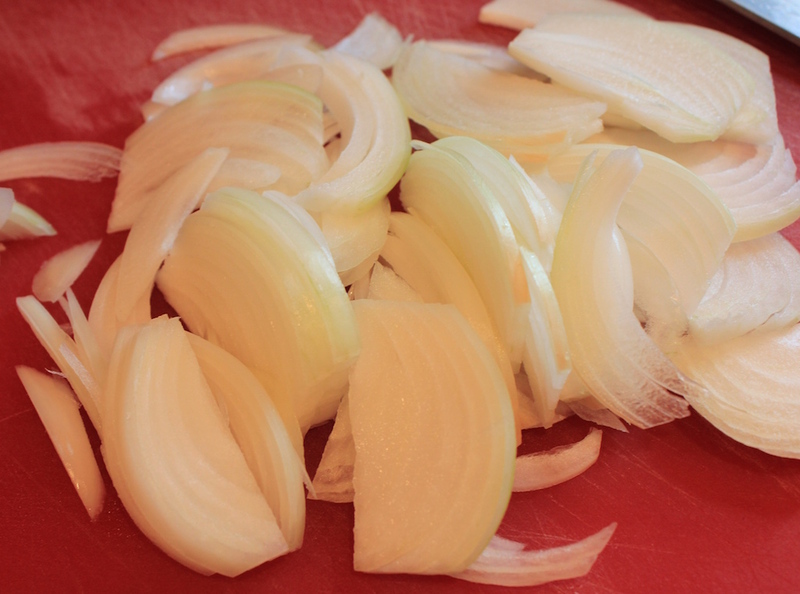 Thinly slice a medium onion (2 cups) lengthwise. Heat the olive oil in a large covered pot over medium-high heat. 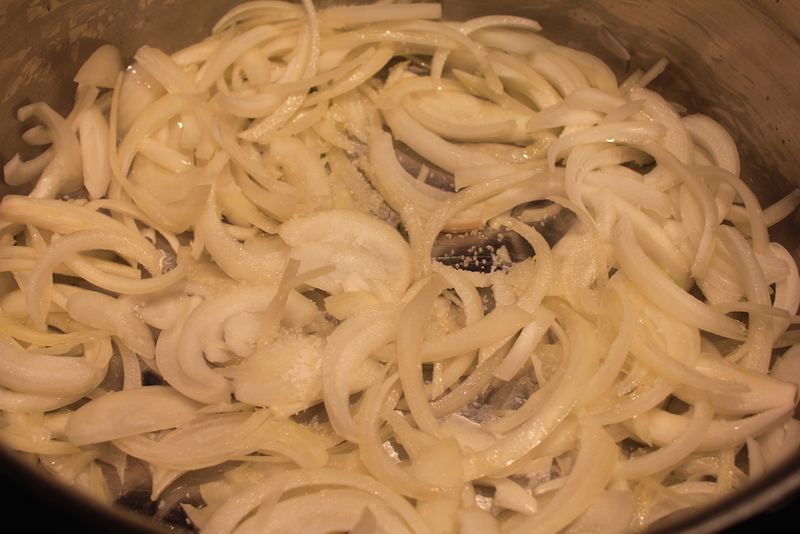 Stir in the onions and one teaspoon salt, cover, lower the heat and sweat for five minutes. 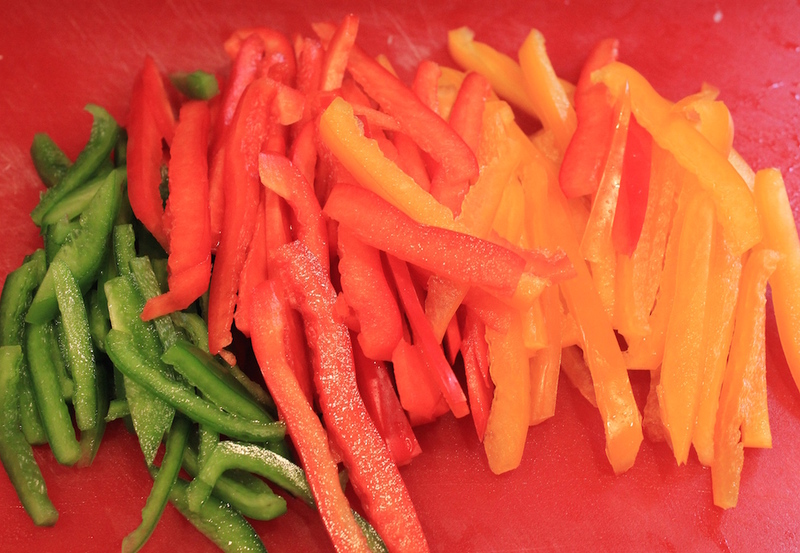 Trim the ends and remove the seeds from a red, yellow and green bell pepper and thinly slice lengthwise. 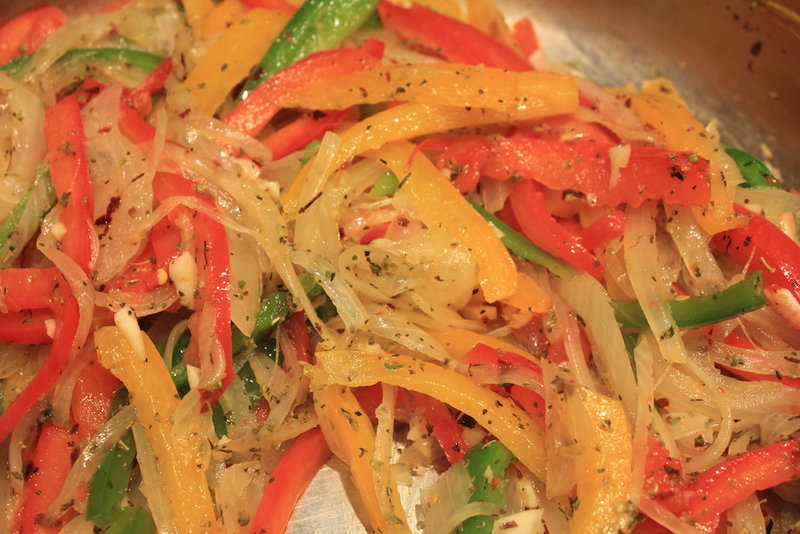 Add the bell peppers to the onions, stir, cover and sweat another five minutes. 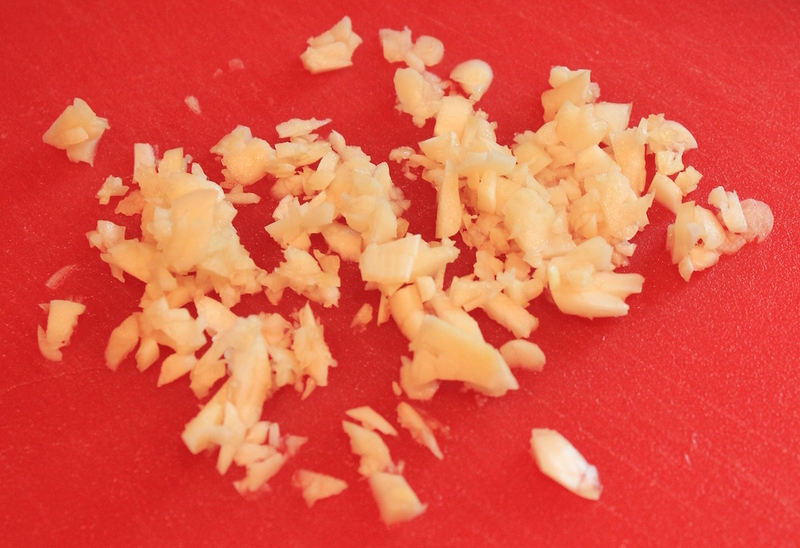 Stir in one tablespoon Italian herb mix, the minced garlic and 1/4 to 1/2 teaspoon pepper flakes. 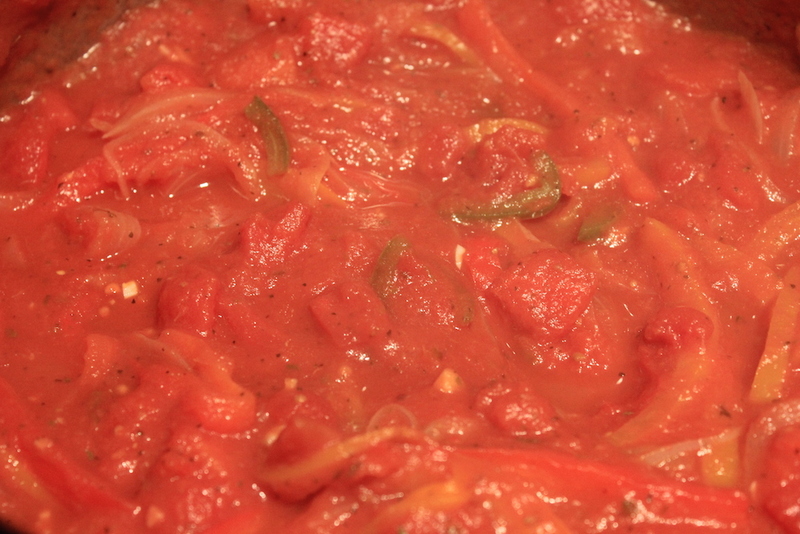 Add the tomatoes, stir, bring to a boil, lower the heat to a gentle boil and continue cooking for 30 minutes. 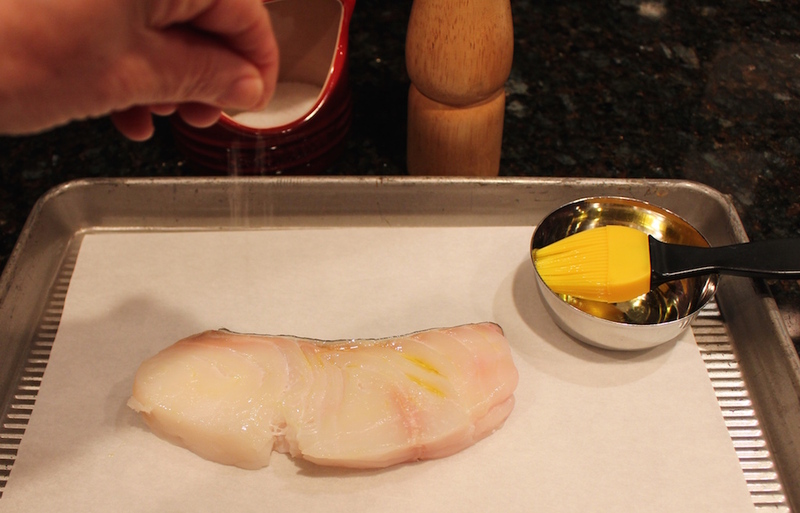 Place the fish on the lined sheet tray and lightly brush with oil. and a couple of grinds of pepper. Slide into the oven and roast for 14 minutes; this filet was one inch thick. Adjust for more or less time depending on thickness. Remove to a warm plate and top each filet with 1/4 cup sauce and garnish with parsley and serve the sauced pasta on the side. Here’s what an alternative dish looks like when someone doesn’t want fish – grilled chicken with tomatoes and bell peppers. Line a 10- x 15-inch baking tray with parchment or foil. Heat the olive oil in a large covered pot over medium-high heat. Stir in the onions and salt, cover, lower the heat and sweat for five minutes. 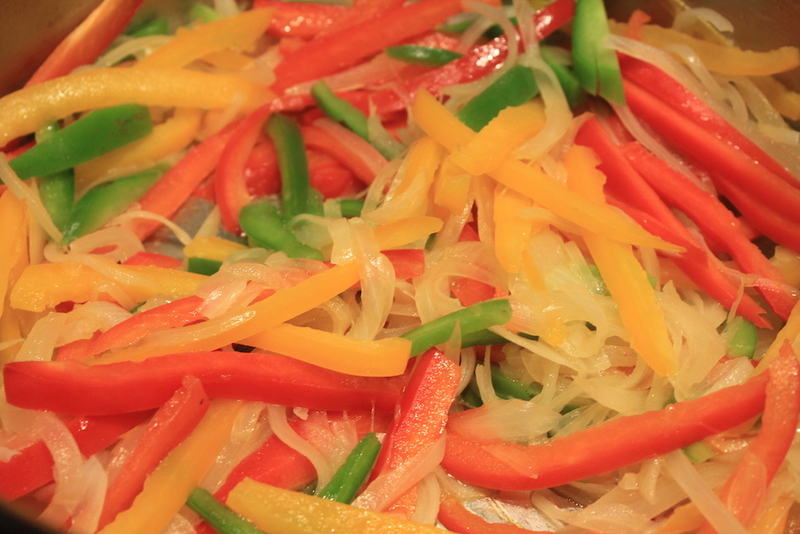 Add the bell peppers, stir, cover and sweat another five minutes. Stir in the herb mix, garlic and pepper flakes. 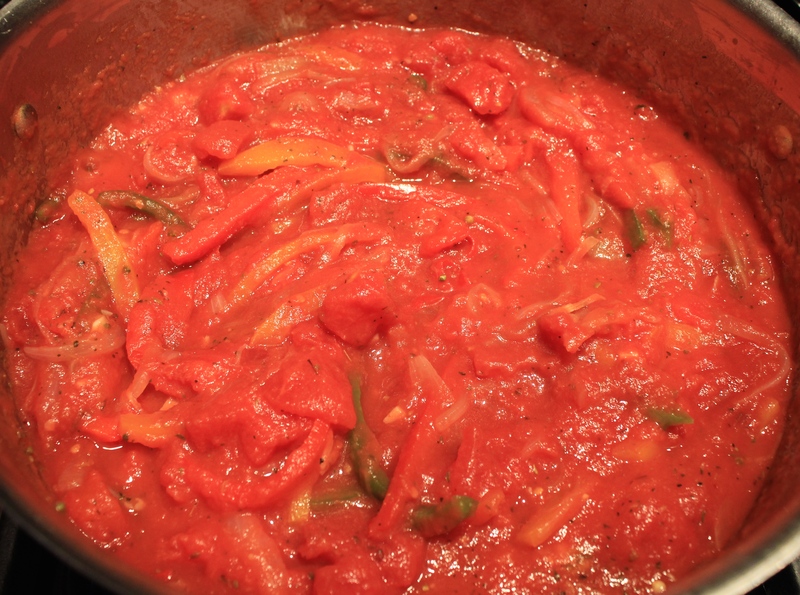 Add the tomatoes, stir, bring to a boil, lower the heat to a simmer and continue cooking for 30 minutes. Lightly brush both sides of each fish fillet with oil and season with a sprinkling of salt and a couple of grinds of pepper. Slide into the oven and roast for 14minutes for a one-inch thick fillet. Adjust for others. Top each filet with 1/4 cup sauce and garnish with parsley. Serve the sauced pasta on the side.